Photos on Flickr from Robert Svoboda, Robert Svoboda (again!) and Bruce Moore - thanks guys! Click here to download the final details (updated Thursday 9 Feb, 11:30am PST). Please ensure you have a copy available throughout the weekend. Note that the program includes shoe recommendations for each race based on regular Vancouver conditions. If ice and snow are still present, you should wear your grippiest shoes (see snow status below). The list of two-person relay teams is available here - if you want to make any changes, please email Scott by the end of the Friday banquet (see page 15 of the final details for instructions). Join us for the 2017 Sprint Camp! Prepare yourself for a weekend jam-packed with sprint training exercises, with a few races thrown in to practice those skills! Registration for the full weekend is now closed. But, you can still sign up for the Sunday races, which are part of our Why Just Run series. See who is registered for the weekend here. Vancouver Sprint Camp 2017 will be the first event of the inaugural North American Sprint Series! The series contains four sprint events located in Canada and the United States. 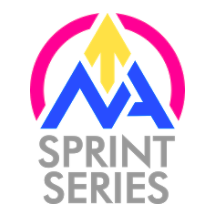 Participants who attend Vancouver Sprint Camp, the Boston Sprint Camp, the Seattle Adventure Running Tournament (SART), and the Sprint San Francisco events will be eligible to earn points that determine how they place in the North American Sprint Series. The more events you go to the greater chance you have of taking home the title of North American Sprint Champion!! Thank you to the Orienteering Association of BC and viaSport for the financial contribution towards Sprint Camp costs. We'd also like to thank the City of Vancouver, City of Coquitlam, and City of New Westminster for granting us permission to orienteer in their parks. Without our fantastically skilled and dedicated team of volunteers, this event would not be possible! Want to volunteer?! We still need lots of help! GVOC members will offer 20 billeting spaces on a first come first served basis. The $30 accommodation fee includes breakfast and lunch for Sat and Sun. REGISTER EARLY if you need billeting. Additional spaces may be available for HPP members and members of other national teams. Please email Alison at alimcalison@gmail.com for more information. There will be food in a community centre, somewhere in the area. There will probably also be a presentation or two. This is a great opportunity to catch up with new and old friends, go over courses from the day, and get a delicious meal. Tickets must be purchased in advance via Zone 4. If you have allergy or diet restrictions, please email Alison at alimcalison@gmail.com, and we will do our best to accommodate you. Prizes will be awarded for top 5 men and women in the Best 4 of 5 SI Races. See schedule for which races count. Prizes are $200, $150, $100, $75, and $50. There will also be prizes for the top 3 men and women in the Expert category! TENTATIVE SCHEDULE - DON'T RELY ON THE TIMES IN THIS TABLE. EVENT PROGRAM SUPERSEDES THIS TABLE IN ALL INSTANCES.